The McCain-Palin campaign has been hammering Democratic presidential candidate Barack Obama in recent days for his relationship with former far-left 1960s radical William Ayers, with Palin going so far as to accuse Obama of "palling around with terrorists." But Obama's Republican opponent, John McCain, has had some radical political connections of his own in the 1980s. It turns out that the Arizona senator once served on the advisory board to the U.S. chapter of a far-right international group linked to a former Nazi collaborator and right-wing death squads in Central America -- and bankrolled by a controversial billionaire evangelist. The U.S. Council for World Freedom aided the Contra rebels that fought a guerrilla war to overthrow Nicaragua's leftist Sandinista government headed by Daniel Ortega. Their activities were brought to light in the Iran-Contra scandal that severely damaged Ronald Reagan's presidency. McCain served on the council's advisory board until he resigned following its exposure in the scandal. The council eventually got into legal trouble with the Internal Revenue Service, which revoked the organization's tax-exempt status. Founded in 1981 by retired U.S. Army Major General John Singlaub, the council was the American chapter of the World Anti-Communist League (WACL), an international right-wing organization heavily financed by the billionaire Korean evangelist, Reverend Sun Myung Moon, founder and leader of the Unification Church. Moon was convicted in 1982 on federal charges of filing false income tax returns and conspiracy and spent 18 months in prison. The 88-year-old Moon -- whose church has been dogged for more than 30 years by accusations that it "brainwashes" its converts -- is best known today for his global media empire, including The Washington Times and the once-venerable United Press International news service, which Moon's News World Communications Inc. purchased in 2000. McCain's ties to the council have come under renewed scrutiny after his campaign criticized Obama for his link to Ayers, a co-founder of the 1960s radical group Weather Underground, which engaged in a series of domestic terror bombings in 1969 when Obama was only eight years old. Democratic operative Paul Begala blew the whistle on the Arizona Republican on Sunday, warning on ABC's "This Week" that the McCain campaign's attacks on Obama -- which Begala branded "guilt by association" -- would backfire on McCain by raising questions about McCain's membership on the board of the council, which he branded "an ultraconservative right-wing group." In two interviews with the Associated Press in August and September, Singlaub, now 87, said McCain became associated with the council in the early 1980s as McCain launched his political career. McCain was elected to the House of Representatives in 1982. "McCain was a new guy on the block learning the ropes," Singlaub told the AP. "I think I met him in the Washington area when he was just a new congressman. We had McCain on the board to make him feel like he wasn't left out. It looks good to have names on a letterhead who are well-known and appreciated. "I don't recall talking to McCain at all on the work of the group," Singlaub said. McCain resigned from the council in 1984 and asked in 1986 to have his name removed from the group's letterhead after its involvement in the Iran-Contra scandal was brought to light. "I didn't know whether [the council's activity] was legal or illegal, but I didn't think I wanted to be associated with them," McCain said in a 1986 newspaper interview. The council's support for the Nicaraguan Contras was exposed in 1986, with the Associated Press reporting that, "Singlaub's private group became the public cover for the [Reagan] White House operation." The scandal revealed a complex operation originally aimed at improving U.S.-Iranian relations, only to see it degenerate into an arms-for-hostages scheme, in which members of the Reagan White House sold weapons to Iran in exchange for the release of 52 Americans held hostage after Iranian radicals stormed U.S. Embassy in Tehran in 1979. While serving in the House of Representatives, McCain voted for military assistance to the Nicaraguan Contras, a CIA-organized guerrilla force, until Congress cut off funding in 1984. Top Reagan administration officials promptly ramped up a secret White House-directed supply network run by then-National Security Council aide Oliver North, who relied on retired Air Force Major General Richard Secord to carry out the operation. The goal was to keep the Contras operating until Congress could be persuaded to resume funding. "It was noted that they were trying to act as suppliers. It was pretty good cover for us," the now-76-year-old Secord, who headed the secret network's field operations, told the AP in an interview on Tuesday. But the network's covert arms shipments -- which were financed in part by secret arms sales to Iran -- were exposed by the Iran-Contra scandal when it blew up in November 1986 and nearly destroyed Reagan's presidency. North, Secord and other top Reagan administration officials involved were forced to resign. Others, including North, were prosecuted. The scandal did destroy Singlaub's council, which was stripped of its tax-exempt status in 1986 by the IRS for its activities in support of the Contras. But by that time, Singlaub had been "moved upstairs" to chair the council's parent World Anti-Communist League. McCain may have had another reason to quit the council aside from the Iran-Contra scandal: Its parent organization's financial backing by Reverend Moon and his Unification Church. Whether McCain actually knew of the council's ties to Moon is unknown. The Unification Church, famous for its mass wedding ceremonies and whose members are often known in the English-speaking world (with some derision) as the "Moonies," was a major financial backer of the WACL in the 1970s and 1980s, reportedly pumping millions of dollars into the group until the church founded its own anti-communist organization, CAUSA International, after the WACL became embroiled in the Iran-Contra scandal. It is not known what influence, if any, Moon had on the WACL as a result of the Unification Church's largesse. Moon has been among the most controversial of modern religious leaders. He and his followers have been widely criticized, both for their religious beliefs and for their social and political activism. Moon, who made a name for himself as a fierce crusader against communism, is well known in conservative political circles in the United States. In 1980, Moon indirectly supported Reagan's presidential campaign when he ordered the now-defunct church-owned New York daily newspaper The News World to publish a story with a front-page banner headline predicting a "Reagan Landslide" on the day of the election, before the outcome was known. This was said to influence the voting when a facsimile of the paper's front page was shown on television being held up by Reagan. On the day after, The News World crowed on its front page, "Thank God! We Were Right!" accompanied by a huge still photo of Reagan holding up the facsimile of the previous day's front page. WHY IS A SELF-DESCRIBED MAN OF GOD IN THE ARMS-MANUFACTURING BUSINESS? Moon has proclaimed himself the second coming of Christ, the "Savior," "returning Lord" and "True Parent." He teaches that all people should become perfected like Jesus and like himself, and that as such, he "appears in the world as the substantial body of God Himself." Moon's teachings have political ramifications, primarily based on his idea that spiritual principles should be put into practice in the real world. Aside from his opposition to communism, Moon's stand on social issues is based on his interpretation of sin, similar to fundamentalist Christian morality. He calls for the literal establishment of a Kingdom of God on Earth -- a position that has earned him sharp criticism as a theocrat, with a complete disregard for the U.S. constitutional separation of church and state. But it is Moon's business ventures that have generated the greatest controversy. Unification Church-owned businesses have engaged in munitions manufacturing in South Korea during the 1960s, according to a 1978 U.S. congressional report on the church. The report said the church-owned Tong Il Enterprises was involved in weapons manufacture and "is an important defense contractor in [South] Korea. It is involved in the production of M-16 rifles, antiaircraft guns, and other weapons." Even today, Moon's American-born fourth-oldest son, Kook Jin (Justin) Moon, runs Kahr Arms, a small-arms company based in Blauvelt, New York with a factory in Worcester, Massachusetts. According to The Washington Post, "Some former [Unification Church] members and gun industry critics perceive a contradiction between the church's teachings and its corporate involvement in marketing weapons promoted for their concealability and lethality." On May 19, 1982 -- just two days after The Washington Times began publication -- Moon was convicted on federal charges of filing false income tax returns and conspiracy. Many individuals, organizations and religious figures -- even some of Moon's fiercest critics -- protested the charges, saying that they were unjust and threatened freedom of religion and free speech. Moon's conviction was upheld on appeal and he spent 18 months in the Federal Correctional Institution in Danbury, Connecticut. Singlaub took over the WACL -- now known as the World League for Freedom and Democracy -- after became embroiled in a separate controversy in 1980 when its chairman, Roger Pearson, was expelled after allegations surfaced that Pearson was a white supremacist involved with several neo-Nazi organizations. The WACL was placed under watch by the Anti-Defamation League of B'nai B'rith after Geoffrey Stewart-Smith, a former Conservative Party member of the British Parliament, abruptly quit the organization and exposed it as "largely a collection of Nazis, Fascists, anti-Semites, sellers of forgeries, vicious racialists, and corrupt self-seekers." Singlaub expelled the WACL's Latin American affiliate in 1984 after syndicated columnist Jack Anderson published an expose of the affiliate's ties to right-wing Latin American death squads responsible for a series of politically-motivated assassinations. At the time, Singlaub told the columnist the Latin American affiliate had "knowingly promoted pro-Nazi groups" and was "virulently anti-Semitic." "That was putting it mildly," Anderson wrote in a September 11, 1984, column on the alleged death squad murders, an article that appeared two months before the U.S. presidential election that saw Reagan's 49-state landslide victory over Walter Mondale. Two weeks after Anderson's column was published, Singlaub received a letter from McCain asking that the then-congressman's name be taken off the group's letterhead as a member of its board because "he didn't have time for the council." Singlaub told the AP that "certainly by 1984," he had purged the World Anti-Communist League of extremists. Singlaub complains that American news media wrote that the league hadn't gotten rid of extremist elements and tried to tarnish the league's credibility, "making something evil out of fighting communism." 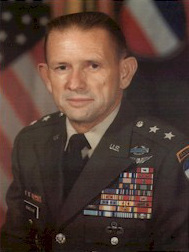 Singlaub first made headlines in 1977 when, while chief of staff of U.S. forces in South Korea, he publicly criticized President Jimmy Carter's decision to withdraw U.S. troops from the Korean peninsula. On March 21, 1977, Carter relieved him of duty for overstepping his bounds and "failing to respect the president's authority as commander-in-chief." And though she may have scored a political hit each time, her attack was unsubstantiated and carries a racially tinged subtext that John McCain himself may come to regret. ANCHORAGE, Alaska -- Seven aides to Governor Sarah Palin have reversed course and agreed to testify in an investigation into whether the Republican vice-presidential nominee abused her powers by firing a commissioner who refused to dismiss her former brother-in-law. Palin, a first-term governor, is the focus of a legislative investigation into her firing of Public Safety Commissioner Walter Monegan a year after she, her husband and key advisers began questioning him about getting rid of a state trooper who had gone through a nasty divorce with her sister. Monegan says he was dismissed because he wouldn't fire the governor's former brother-in-law, Michael Wooten, but Palin contends he was dismissed for insubordination. McCain operatives called Monegan a "rogue" who repeatedly tried to work outside normal channels for requesting money. Lawmakers had subpoenaed the seven Palin aides to testify in the inquiry but they challenged those subpoenas. After a judge rejected that challenge last week, the employees decided to testify, Alaska Attorney General Talis Colberg said. Democratic state Senator Hollis French, who is managing the investigation, said that, following the court ruling, he again asked Palin and her husband, Todd, whether they planned to testify. Obama isn't above attacking McCain's character with loaded words, releasing an ad on Sunday that calls the Arizona Republican "erratic" -- a hard-to-miss suggestion that McCain's age, 72, might be an issue. A harsh and plainly partisan judgment, certainly, but not on the level of suggesting that a fellow senator is un-American and even a friend of terrorists. In her character attack, Palin questions Obama's association with William Ayers, a member of the Vietnam-era Weather Underground. Her reference was exaggerated at best if not an outright falsehood. Already, Palin was forced to defend her claim on Sunday, saying the Democratic presidential nominee's association with a 1960s radical is an issue that is "fair to talk about." Palin insisted that her comments "are about an association that has been known but hasn't been talked about. I think it's fair to talk about where Barack Obama kicked off his political career, in the guy's living room." Later, at a California fundraiser, Palin elaborated on her attack, claiming one of Obama's advisers had described Obama and Ayers as "friendly." "In fact, Obama held one of his first meetings hoping to kick off his political career in Bill Ayers' living room," she told the crowd, which had just raised $2.5 million for the Republican Party's McCain-Palin Victory 2008 fund. At issue is Obama's association with Ayers. Both have served on the same Chicago charity and live near each other in Chicago. Ayers also held a meet-the-candidate event at his home for Obama when Obama first ran for office in the mid-1990s, the event cited by Palin. Obama has denounced the radical views and actions of Ayers, a founder of the violent Weather Underground group during the Vietnam era. On Sunday, Obama dismissed the criticism from the McCain campaign, leveled by Palin, as "smears" meant to distract voters from real problems such as the troubled economy. At a rally in North Carolina, Obama countered that McCain and his campaign "are gambling that he can distract you with smears rather than talk to you about substance." The Democrat described the criticism as "Swift boat-style attacks on me," a reference to the unsubstantiated allegations about 2004 Democratic nominee John Kerry's decorated military record in Vietnam. [Also on Sunday, the Obama campaign struck back with a hard-hitting Web ad recalling McCain as one of the "Keating Five" senators who met federal regulators on behalf of a California savings and loan institution that collapsed in 1989. The ad faults McCain as unwilling to regulate the financial industry. In February, Obama strategist David Axelrod told the Politico.com Web site: "Bill Ayers lives in his neighborhood. Their kids attend the same school. They're certainly friendly, they know each other, as anyone whose kids go to school together." But an analysis by The Associated Press found that while Ayers and Obama are acquainted, the charge that they "pal around" is a stretch of any reading of the public record. And it's simply wrong to suggest that they were associated while Ayers was committing terrorist acts. Obama was an eight-year-old boy at the time the Weather Underground claimed credit for numerous bombings and was blamed for a pipe bomb that killed a San Francisco policeman. No evidence exists they were "pals" or even close when they worked on community boards years ago in Chicago and Ayers hosted a political event for Obama early in his career. During her stop in California, Palin, asked about the AP analysis that said her charge about Ayers was unsubstantiated -- a point made by other news organizations -- she answered flatly, "The Associated Press is wrong," arguing that the issue had not been adequately discussed. In fact, Obama was questioned about Ayers during a prime-time Democratic debate against Senator Hillary Rodham Clinton prior to April's Pennsylvania primary. Palin, recharged after last week's debate against Democratic vice presidential nominee Joe Biden, is animating the party's conservative wing with harsh attacks against Obama. She's courting high-dollar donors for campaign cash. And she is looking to wrestle away women and independent voters from the Democrats. "The heels are on, the gloves are off," she declares, a threat delivered with a smile. With that message, the campaign is sending her on a whirlwind tour of political trouble spots. On Sunday, she was headed for a rally in Omaha, Nebraska, a defensive move in one of the two states in the nation that can split their electoral votes. Her visit illustrated the depth of worry within the McCain camp. Since 1964, all five of the state's electoral votes have gone to the Republican presidential candidate. On Monday, she begins a two-day, event-packed tour of Florida that stretches from Naples in the South to Pensacola in the panhandle. North Carolina and Pennsylvania are next. After a hold-your-ground debate performance last week, Palin is back to where she was after her show-stopping speech at the Republican convention a month ago — the top draw in the McCain-Palin ticket. She's still the carefully handled national politics greenhorn. Reporters traveling on her plane are kept at a distance. At fundraising events she doesn't take questions in public from donors, as McCain does. Contributors greet her privately before she allows the press in for her stump speech. She brushes off some of her criticism as if it were lint on her jacket. "People say that I speak too simply, or don't have quite the — I don't have my thesaurus in my back pocket all along through my speeches," she told donors in Englewood, Colorado. "Well, I don't have time for that." On Sunday she told donors she had been asked why she had done so poorly in interviews with CBS News anchor Katie Couric. "You know what I should have said?" she joked. "It's job security for Tina Fey" -- the woman who impersonates her on NBC's "Saturday Night Live." In a post-September 11 America, terrorists are envisioned as dark-skinned radical Muslims, not the homegrown -- and mostly white -- anarchists of Ayers' day 40 years ago. With Obama a relative unknown when he began his campaign, the Internet hummed with false e-mails about ties to radical Islam of a foreign-born candidate. The fact is that when racism creeps into the discussion, it serves a purpose for McCain. As the fallout from Wright's sermons showed earlier this year, forcing Obama to abandon issues to talk about race leads to unresolved arguments about America's promise to treat all people equally. John McCain occasionally says he looks back on decisions with regret. He has apologized for opposing a holiday to honor Martin Luther King Jr. He has apologized for refusing to call for the removal of a Confederate flag from South Carolina's Capitol. When the 2008 campaign is over will McCain say he regrets appeals such as Palin's?